When I started this, I did it for me. I only shared the link with about 3 friends and that was it- it was my diary and my place to be me. Now, I think 4 other friends have the link making it a total of 7 people I know but the number of people who comment, email me, read this is amazing and when I sometimes see the stats, I am blown away by the interest in my ramblings. Thank you. Planning a holiday is just the start but going on one is amazing and I am looking forward to taking a detox month of Feb from the online world and blogging to go spend some time with my family. The weekend away, though only one night, was amazing as well and I am so grateful to appreciate these moments. This year, I have seen some fantastic movies- less than a month and cinema has been awesome, I love it! Today it is “Two week’s notice”- the relationship between Sandra Bullock and Hugh Grant, and their professional relationship- the interesting bit is the end… and is it that these fantasies make me believe in the best of everyone and everything. And is this why I expect too much at times- like expecting my best friend to come visit me when I am sick, like a hug from my mother (well I would have gotten that if things could be! ), like expecting people to do the right thing and not get caught up in their bloody ego wars! The argument about perfection reminds me so much of exactly what a friend and I used to fight about- he said those very words to me and so it amuses me to see them being repeated, word for word on telly. Sigh. Someday, I am going to make the time, if I could care enough, to put together my life through movies… have often been asked to write a book so this may be the easy option out hehehe. "She made you decent and in return, you made her so happy"
"She was my best friend"
There were just moments in the film that made me think can a man and a woman just be friends, ever? What is weird though is that it took them 14 years to get together- seriously, at that stage, is it truly love or just companionship? Or is it the latter that one looks for… I mean, I certainly don’t expect “the spark” to last forever and be the only thing- the laughs, the conversations, the discussions are equally important but as we grow older, is it cynicism, is it maturity, is it (yet again) companionship that makes us choose a friend? I presume, these being questions that have been in the universe forever that answers are going to be few and varied and as such, this shall remain rhetorical. *Spoiler Alert* Don’t watch the film if you want a romantic ending ‘cos even though it ends on a happy note, the girl dies. What’s the point of making a film where there is no happily ever after?! There is enough tragedy in the real world, at least let the fantasy world be all happy go lucky! And on a different note- what a coincidence, TSG and I were discussing this film last weekend without realising this was the film ‘cos I hadn’t seen it and he couldn’t remember the name. And if there was ever a relationship that should have been based on the conversations, laughs and spark, that was it but it wasn’t meant to be and today, he is slowly creeping into “my favourite people in the world” list so there, go figure! Last night I went to see the much acclaimed “Iron Lady” and came out a little disappointed- I think they tried to be too experimental and tried to merge too many different stories into one- the premise seemed to be her dealing with Maggie Thatcher dealing with her husband’s death! The story seemed to have been written so you came out liking her, rather than it being simple facts where one could judge for themselves- before this, I may not have disliked her as much as I did after- they made her come across as “holier than thou” and I am not too sure that’s a true reflection of her! She had passion, she had ambition and she didn’t need anyone to tell her to go get it all- fair play to her for the courage and guts she displayed! 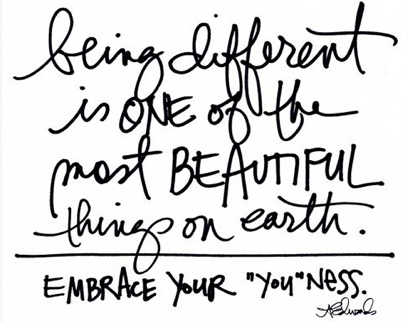 So go on embrace your “you”ness and make the decisions that you truly think reflect your beliefs and that you know you can absolutely stand by! I have often felt movies reflect my life closely but tonight I saw a film directed by my first boyfriend and there are way TOOOOOOOOOO many stories I recognise. It’s scary, it’s weird and his girlfriend was the main actress in the film- her smile, her neck and her crying style are identical to mine- freakily also the things he found the cutest about me. And I thought we had both moved on but it’s weird how first relationships impact. The funny thing is we both are not in love and not even that close but still… VP, I wish you luck and hope the movie, even if it ain’t great, does well and I wish you success. All the best babe, still proud of you! On a different love, loving this song! Ever since I was a kid, I was always told to believe in myself, believe in my abilities, believe in my dreams. Every so often, I start doubting myself, despite everything. And every so often, I see something silly that reminds me about it again- today, I saw a chick flick- one that seemed to be based around my life in many ways that one- about not getting to my childhood dream, about not having the right boss (at times- cos I am my own boss and I can be a bloody b!tch), about wanting to work with a team that was close-knit etc etc etc- and usually chick flicks are a good way for me forgetting everything and just focusing on nothingness but this one reminded me how believing in myself, believing in my team, believing in my dreams and just going for it! Thank you Morning Glory for a good evening film, a few smiles, a few laughs and for reminding me why I am doing what I am doing! Always knew I had a movie in me! On Friday, I decided to go to the cinema after ages and forgetting how busy Dublin is, I could only go for the Jennifer Aniston- Adam Sandler movie- ‘Just go with it’ or something like that. Perfect Friday night movie when one wants to sit back and laugh, chill, forget their brain but it was weird, it kinda made me re-open the thoughts of my relationship with certain friends in my life. And then today I saw ‘Eat, Pray, Love’- a pretty interesting concept, very badly executed, even Julia is not at her finest but it does remind me that I need to let go of my fear and open myself to love again, I need to get scraped again, it has been a long time. Yes, I am scared. But why am I scared? I have the most awesome security net ever. I have a great family and some of the most amazing friends possible… they have always been there for me, they will always be there for me and they have wiped my tears in the past, covered my scars, healed my wounds, gotten drunk and everything else so why am I so scared of letting go and falling down again? Whats yet another broken bone, after so many already?! Dear universe, please, give me the strength to open up to hurt again. I am ready or so I believe but something is holding me back, yet again. Please help me. And of course the ones I had mentioned in the past too- here are some other recommended movies I want to see. If you think a guy is trying to seduce you and has been getting his advice from the internet- then he may be thinking of popping in one of these films to get you in the mood. Men, if you really want to get a girl in the mood- do something you both enjoy- she enjoys it when you are having fun too. Don’t always put us on a pedestal and treat us like porcelain! So again today while eating dinner, I was flicking the telly and came across Erin Brokovich- as a kid, I was completely enamoured by the film and I just hope someday I will have the conviction to do the right thing the way Erin did. Is this one of those instinct things where one just knows? Or is it something you have to really research to figure out? I truly wonder- I hope someday I have the chance to deal with something that could help so many people. And I hope I do what’s right. I hadn’t planned to ramble again tonight but there was a bit of me that forced me to come back here. I am fine in the relationship, I am fine being a fiance, but when it’s crunch time, I run but like it was with Richard Gere, if things happen really quick and I am still in the honeymoon and make THAT commitment, I know it will be brilliant but seriously- at this moment, I understand Julia Robert and what she went though really well. Ugh, is this what’s in my future?!! !